We realize this issue IS complex. Here are answers to a few commonly asked questions. Please don't hesitate to let us know if you have more questions! Q: What does acid-mine drainage (AMD) do to waterways/fisheries? Once the process of acid mine drainage begins, it cannot be stopped without continual treatment, leaching metals into freshwater systems and the food web. [ii] Metals affect healthy ecosystems, altering fish health and behavior. 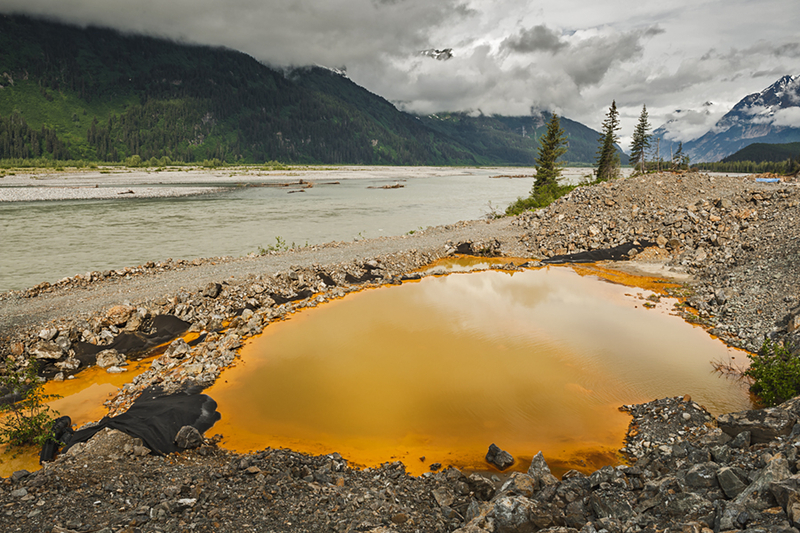 [iii] Acid mine drainage often forms iron hydroxide, a red-orange colored substance that coats the stream bottom diminishing food and habitat for spawning. An investigation at the abandoned Britannia copper mine in British Columbia confirmed AMD was toxic to juvenile salmon. Juvenile Chinook salmon transplanted near Britannia Creek experienced 100% mortality within two days.[iv]. Q: What is status of mining in the transboundary region of Northwest B.C.? The completion of the Northwest Transmission Line in 2014 dramatically increased B.C. 's mining exploration and development in the transboundary region. Pair that with weakened environmental regulations and a lack of enforcement in B.C. (read the B.C. auditor general's scathing report on compliance and enforcement of the mining industry) and the result is a veritable gold rush with multiple new projects coming on line every year - illustrated by former B.C. Premier Christy Clark's commitment to "reopen or expand more than 10 mines." Q: How important are these rivers to local commercial fisheries? 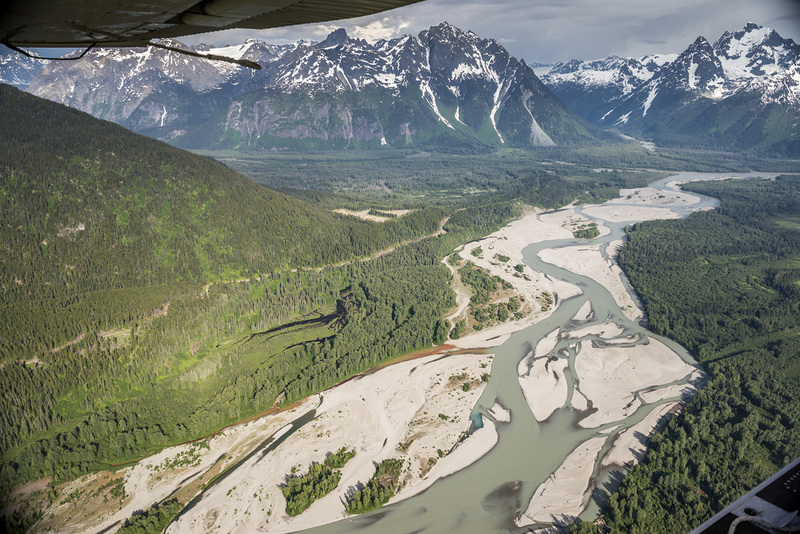 The Taku, Stikine, and Unuk Rivers are three of Southeast Alaska’s largest salmon producing watersheds. These systems provide habitat for all five species of Pacific Salmon, and account for about 70% of the region’s wild Chinook production. [vi] The Taku River is the largest producer of Chinook and coho salmon in the region with annual coho runs estimated at 150-450,000 fish,[vii] with the Stikine River not far behind. The Unuk River is the primary river entering Misty Fjords National Monument, the largest designated Wilderness area in the Tongass National Forest. [viii] These rivers support Southeast’s diverse commercial fleet including gillnetters, trollers, and seiners as well as sport and subsistence fisheries. Q: Does the Pacific Salmon Treaty protect habitat on both sides of the border? The U.S. and Canada signed the Pacific Salmon Treaty in 1985 in an effort to solve disputes over management and allocation of salmon. Attachment E of the Treaty provides a general commitment of U.S. and Canada to use “best efforts” to protect water quality, water quantity, and safe passage of salmon, however the treaty does not have the regulatory structure to address habitat protection or other environmental issues. [i] Mend (2001). “List of Potential Information Requirements in Metal Leaching / Acid Rock Drainage Assessment and Mitigation Work.” Mining Environment Neutral Drainage Program. W. A. Price, Canmet, Canada Centre for Mineral and Energy Technology. [ii] Jennings, S. R., Neuman, D. R. and Blicker, P. S. (2008). “Acid Mine Drainage and Effects on Fish Health and Ecology: A Review.” Reclamation Research Group Publication, Bozeman, MT. [iii] Fromm, P. O. (1980). “A review of some physiological and toxicological responses of freshwater fish to acid stress.” Environmental Biology of Fishes 5(1): 79-93. [iv] Barry, K. L., J. A. Grout, C. D. Levings, B. H. Nidle, and G. E. Piercey (2000). "Impacts of Acid Mine Drainage on Juvenile Salmonids in an Estuary near Britannia Beach in Howe Sound British Columbia.” Canadian Journal of Fisheries and Aquatic Sciences 57(10): 2031-2043. [v] Weber Scannell, P. (2012). “Stikine River mining activity risk assessment. Alaska Department of Fish and Game, Technical Report No. 10-06, Douglas, Alaska. [vi] Pahlke, K. A. (2010). “Escapements of Chinook salmon in Southeast Alaska and transboundary rivers in 2008. 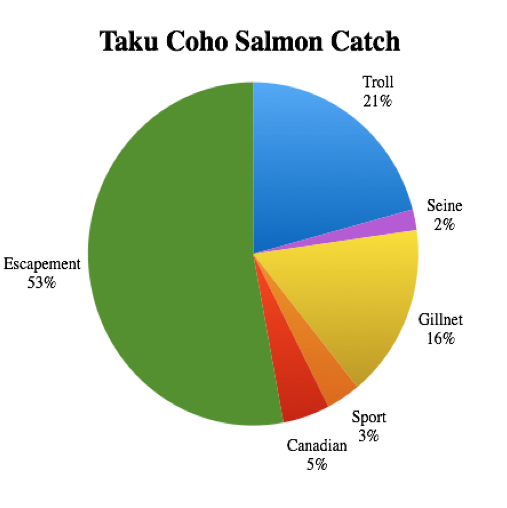 Alaska Department of Fish and Game, Fishery Data Series No. 10-71, Anchorage. [vii] Williams, J.T., E. L. Jones III, and A. J. Craig (2013). “Production of Coho and Chinook Salmon in the Taku River.” Alaska Department of Fish and Game, Divisons of Sport and Commercial Fisheries, Regional Operation Plan SF.1J.2013.01, Juneau. [viii] USDA Forest Service (2008) “Misty Fjords National Monument Wilderness.” Tongass National Forest, Ketchikan Ranger District.